One annoying thing Iâ€™ve noticed is that with most Taiwanese people I meet, there seems to be this underlying assumption on their part that I need to be â€œtoldâ€� what to do, as though they have the right to tell me what to do. I know that the Chinese see a hierarchy to things like social relationships and family, but how have you other Asian Americans dealt with this? Momopi? 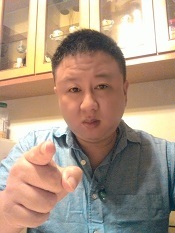 WWu777 wrote: One annoying thing Iâ€™ve noticed is that with most Taiwanese people I meet, there seems to be this underlying assumption on their part that I need to be â€œtoldâ€� what to do, as though they have the right to tell me what to do. I know that the Chinese see a hierarchy to things like social relationships and family, but how have you other Asian Americans dealt with this? Momopi? If the person in question pays your bills... take it like a man, smile and nod. If the person is of minor consequence, feel free to pull a "Jesus" and respond to their question, with a question. Alternatively you could quote Biblical/religious or Confucian maxims. If the person is of little or no consequence, ignore them or flip 'em off. Momopi, HOT Taiwanese girl I met! What should I do? Momopi, is this a Taiwanese Babe Cam Site? How do I use it? Momopi, what do Taiwanese females compliment you on? Momopi, Rock, WTF is wrong with my Taiwanese nurse?! Momopi, why Taiwanese parents make u feel fearful and weak?